This can happen as part of the natural ageing process or because of trauma due to injury. Treatment such as rest (including keeping the neck still by wearing a specially designed soft collar), tablets or injections to reduce pain and inflammation, and physiotherapy may solve the problem. 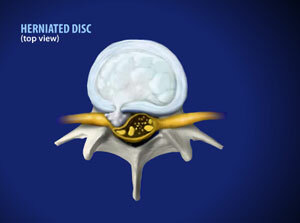 However if the neck pain is not solved by non invasive therapy, specialist surgeons at the Gelenk Klinik can work together to surgically remove the bulging portion of the disc. An Anterior Cervical Discectomy and Fusion may be recommended.